Over the centuries, Russia has offered the world some of the greatest minds, ranging from exceptional musicians, pioneering artists, renowned actors and groundbreaking authors. Here are ten iconic individuals that originated from this vast nation that may surprise you. St. Petersburg was the birthplace of George Sanders, a renowned English film and television actor, songwriter, composer and author. When the turbulence of the Russian Revolution reached its peak in 1917, when Sanders was just 11 years old, his family escaped to England. He was working at an advertising agency when he met actress Greer Garson, who encouraged him to get into acting. Making his film debut in 1936 in ‘Lloyd’s of London’ in 1936, Sanders began to garner attention for his upper-class accent and his sleek manner. For years, he was in great demand in Hollywood, often appearing in Alfred Hitchcock’s features. Today, he remains perhaps best known for his role of Jack Favell in Daphne du Maurier’sRebecca. 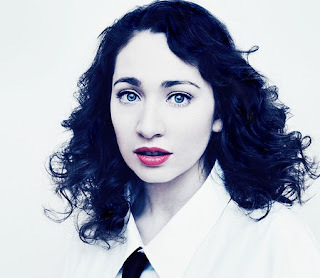 Regina Spektor is not a name that would appear synonymous with Russia, but the pianist and singer owes her roots to the vast country. Born in Moscow in 1980, Regina began studying classical piano when she was just 7 years old. Shortly after, the little girl moved to New York in 1989 where, having parted from her beloved piano back in Russia, she practiced her music by tapping on windowsills. Finally, finding a teacher who could supply her with free lessons, she began songwriting and released her first album ’11:11′ in 2001. Since then, Spektor’s career has rocketed and she has enjoyed great success. To this day, the quirky singer credits her immigration journey as an influence by notably using numerous languages in her songwriting.